Rick Larrick has been on a crusade to help people better understand how much energy they use. A professor with Duke University's Fuqua School of Business, in 2008 Larrick and Fuqua colleague Jack Soll proposed a gallons per mile standard that the federal government added to new car stickers in 2013. In later research he found consumers more likely to buy fuel-efficient cars if the savings were estimated over 100,000 miles of use. Now, along with colleagues Soll and Ralph Keeney, Larrick has created a blueprint of sorts, incorporating those ideas into a new way of explaining energy consumption. "Designing Better Energy Metrics for Consumers" is published in the journal Behavioral Science & Policy. Larrick expands on these ideas in this Fuqua Q&A. Q: You're asking people to think differently about the energy we use. In what way? Expressing energy use over extended periods of time and use. Q: Your work describes the need for meaningful comparisons. What kind of comparisons do you consider meaningful and what makes them important? Comparisons help us evaluate ambiguous numbers and motivate us to improve our performance. It can be hard to make sense of many energy numbers, such as kilowatt hours. It can even be hard to make sense of energy costs. Is a $135 electricity bill good or bad? Working with multiple utilities across the country, the company OPower has applied a basic principle of social psychology to motivate energy savings: They provide households feedback on how much energy they are using and how much energy their average neighbors are using. Once people see this comparison, they can tell whether they are doing well or poorly; people hate being worse than average and work hard to close the gap. To offset complacency among already efficient households, OPower also provides the average energy used by the most efficient neighbors. Research has demonstrated that feedback over time making clear how far we are from achieving a reasonable reduction goal—such as a 10 percent reduction in energy use—motivates us to close the gap. Also, products can be labeled such that the energy they use is compared to an average for that product class. The new Environmental Protection Agency window sticker for cars has an average driving cost over five years compared to an average car that gets 25 MPG. This reveals that a car that gets 40 MPG would save about $4,000 compared to an average car and a car that gets 12 MPG would cost an extra $13,000 to drive. Q: Why do we need more information about consumption than efficiency? Americans are used to thinking about miles per gallon to judge a car's gas use. But that number can be very misleading. If you are looking at two cars, MPG does not tell you how much gas you'll save with the more efficient car. A small improvement on MPGs in the teens, such as from 12 to 14, saves a gallon of gas every 100 miles. That's the same amount saved by improving from 33 to 50. Seemingly small MPG differences on inefficient vehicles make a big difference in gas use and this is the place where consumers should work hard to seek improvements. The new EPA window sticker applies this principle by including gallons per 100 miles in addition to MPG. But the same problem holds for how air conditioners, insulation, and some IT systems are rated. Cost is the most important consideration for many consumers, so it's helpful to translate energy consumption into those terms. But that's also difficult, since it requires making an assumption about how much a product is used and in what conditions. One solution is to use an index—set the cost of the worst product at 100 and use lower numbers to reflect the lower energy consumption costs of more efficient products. This can be interpreted as, "my new costs will be 80 cents for every dollar I spent before." 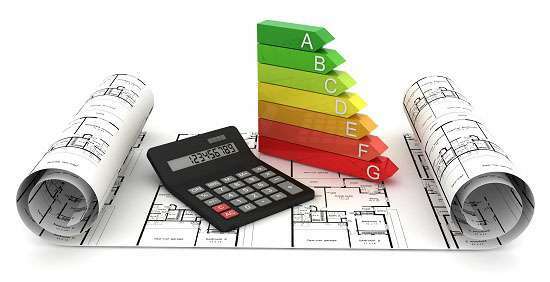 Q: Why is it important to evaluate energy consumption over long periods of time and use? For many years, the EPA used a website to tell consumers about gas costs of different vehicles. It expressed costs over 25 miles of driving, which was easy to visualize-maybe a day or two of driving. But the differences it showed between vehicles were small, barely a dollar. Those same differences scaled over 100,000 miles amount to thousands of dollars. Many people are holding on to their cars for 100,000 miles; this number gives people a realistic sense of the true cost of owning the vehicle. Once expressed on an expanded scale people can clearly see the impact of their decisions. It makes it clearer that a more efficient car might in fact pay for itself or come close enough that people see its value.